The wait is over. Former light heavyweight champion Jon Jones will finally rematch Alexander Gustafsson in the main event of tonight’s (Sat., December 29, 2018) UFC 232 from The Forum in Inglewood, California. 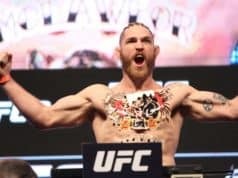 The event saw all-out chaos ensue this week when Jones was found to have multiple ‘atypical results’ in USADA drug tests involving turinabol. That’s the exact steroid he is coming off suspension for following his last fight. The Nevada State Athletic Commission (NSAC) would not license Jones. So the event was relocated to California after Jones agreed to undergo Voluntary Anti-Doping Agency (VADA) testing. All of that controversy is in the rearview for now, and it’s finally time to fight. 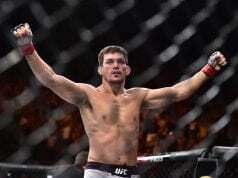 The bout is a rematch of their classic UFC 165 affair in September 2013. That fight is arguably the greatest 205-pound title fight in MMA history, which says a lot. Jones emerged victorious by unanimous decision that evening. It’s still safe to say no one took him to the limit like Gustafsson did. With that said, fans are in for another potential classic in Inglewood. Let’s see how the fighters match up in our final preview and prediction. There’s no denying both Jones and Gustafsson’s proverbial bread and butter is in the striking department. But they get the job done in that area in very different ways. Jones has a wholly diverse arsenal on the feet, implementing kicks, punches, knees, and elbows from all angles. Coupled with his UFC record 84.5-inch reach, it could be stated he’s the most unique striker in the sport. He’s not exactly a knockout striker. But his out-of-nowhere strikes like the spinning elbow he used to stun “The Mauler” at UFC 165 can and do hurt his opponents. Gustafsson, on the other hand, is probably the only light heavyweight with the size to hang with Jones on the feet. He doesn’t have the reach Jones does. Yet he showed he could not only compete with “Bones” but even get the better of him in the first fight. However, his arsenal is limited to more boxing-based striking as he doesn’t throw a ton of kicks. He does have some dangerous knees. Both fighters are amazingly dangerous standing up, but the edge does go to Jones here. On paper, you’d most likely give this area to Jones outright. 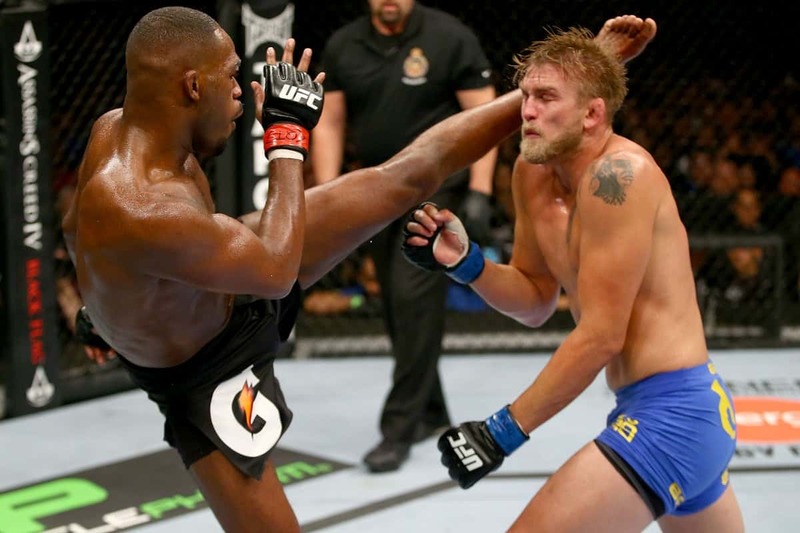 But Gustafsson showed he can surprisingly hold his own against Jones in the first fight. He took Jones down and became the first man to do so in the Octagon. What’s more, he defended Jones’ takedowns excellently in the early going as well. Overall, however, Jones’ collegiate background and the fact he took ‘The Mauler’ down later in the fight do give “Bones” another advantage here. It could be close early on, but if the fight wears on into a grinding war as the first bout did, Jones should control the wrestling exchanges. If he can’t, he could be in for a very long and surprising night. On paper as of now, Jones still has the edge in wrestling. It doesn’t take much to see that Jones has the edge in this area as well. He owns six submission wins on his record to Gustafsson’s three, doubling him up in that department. You may be surprised to see that “Gus” picked up his second and third UFC wins via choke, but he hasn’t won a fight by submission since early 2011. Jones, on the other hand, actively seeks submissions and has some of the more brutal wins by tapout at 205 pounds. His vicious choke of Lyoto Machida and come-from-behind kimura over Vitor Belfort come to mind. It would be a bit of a surprise if this fight ended by submission, but if it does the odds would state it would be Jones winning. It’s almost hard to believe that we’re finally getting this fight after so many hurdles to booking the rematch and Jones’ repeated troubles. But we are, and it should be a great one. The outcome is a bit unpredictable based on both fighters’ recent inactivity, a dynamic that hasn’t been discussed much due to the drug testing chaos that preceded UFC 232. Jones has simply been more dominant overall. And while Gustafsson did take him to the limit in their classic first fight, he’s also fallen short in the biggest moments of his otherwise decorated career. Jones has not, often delivering in huge ways on the biggest stages of his all-time great career. He’s the only one who can hold him back at this point. It’s on Gustafsson to stop that, and that is no easy task. I feel like this fight will play out similarly to the first, with Gustafsson perhaps landing big early while simultaneously exerting a ton of energy. That could open the door for a more measured gameplan from Jones. While “The Mauler” is no doubt one of the finest light heavyweights, Jones is a legend. I think he returns to his lofty position in the sport despite all of the controversy that accompanies it.